Seriously. No one will ever be able to create a better Kirby dress than this. It’s impossible! 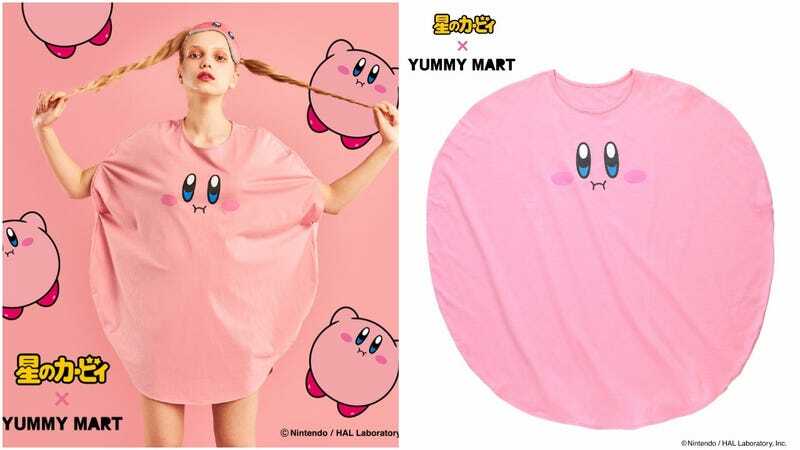 Japanese lingerie maker Peach John is teaming up with Nintendo for Kirby branded pajamas, bustiers, eye masks, and underpants. There’s even a Kirby dress, which seems to be more for sleeping than wearing around outside. But hey, that’s up to you! The Kirby backpack, though, is definitely for the outside world. As Kai-You notes, this year is Kirby’s 25 anniversary. These items will be released in Japan at Peach John’s Yummy Mart concept shop in Harajuku starting on April 22.